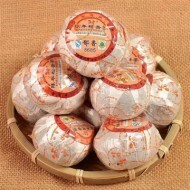 This individually packaged Puerh Beeng Cha is a 9-10 cake of shou puerh. 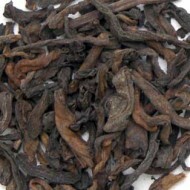 This tea produces a slightly earthy, dark infusion with a somewhat sweet and rich taste. 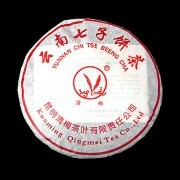 This Beeng Cha makes over 50 cups of tea. It weighs approximately 357 grams. 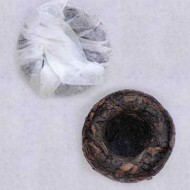 To prepare this tea for steeping use a Puerh knife to separate the leaves as gently as possible to avoid broken pieces. 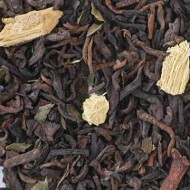 You can break off a small chunk, however the broken leaves can lead to more bitterness in the brewing. Work the knife in from the side to separate the leaves so it does less damage to the leaf. 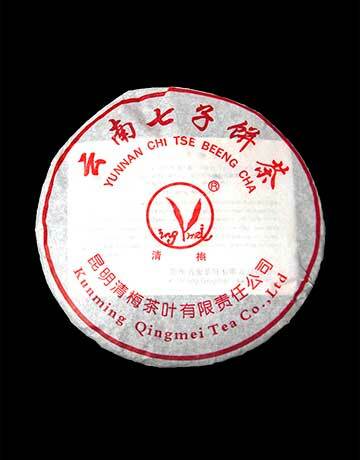 This tea is unique in that it can steep for as long as you'd like, producing a very strong, thick infusion, but it will not get bitter, acidic, or astringent. Available in White, Green and Black.